Looking for something different for mom for Mother’s Day? 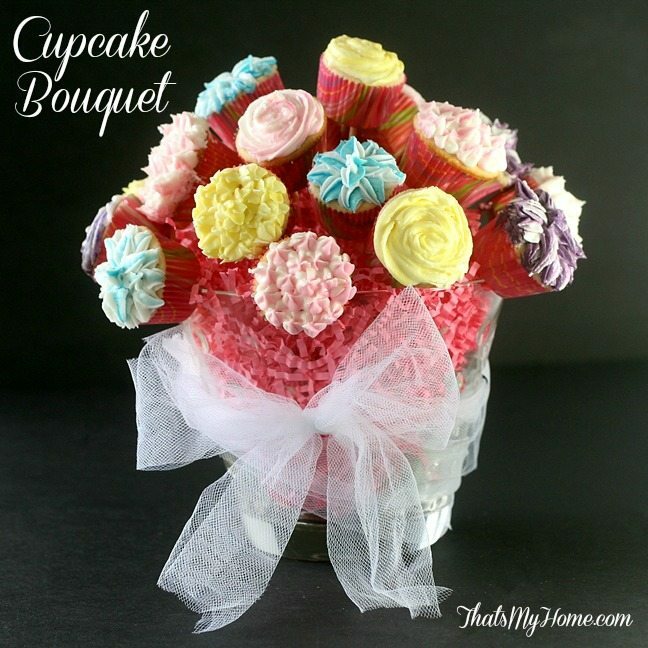 How about a cupcake bouquet? You can make one of these pretty easily and mom is sure to be impressed. Making flowers on cupcakes is so much fun and there is no wrong way to do it. The kids will love helping you with this project too. This looks great. Item 10 in your instructions doesn’t give the # of cups of powdered sugar. Also, how do you get the bi-colored frosting? Jenny, I just saw these at the From Dream to Reality party – A D O R A B L E! I’m going to share this with my daughter who often brings baking in to her co-workers. I think she’ll wow them with this bouquet 🙂 Thanks Mary Ellen for sharing your recipe with us.